On Sunday we celebrated my Opa's 85th birthday! First, we went out for lunch with our Hermann family. I should have taken more pictures, but we were so busy having fun, that I forgot. Oops! After lunch, we went back to Oma & Opa's condo. They have a games room in their building, so the boys played darts, shuffleboard and some pool. 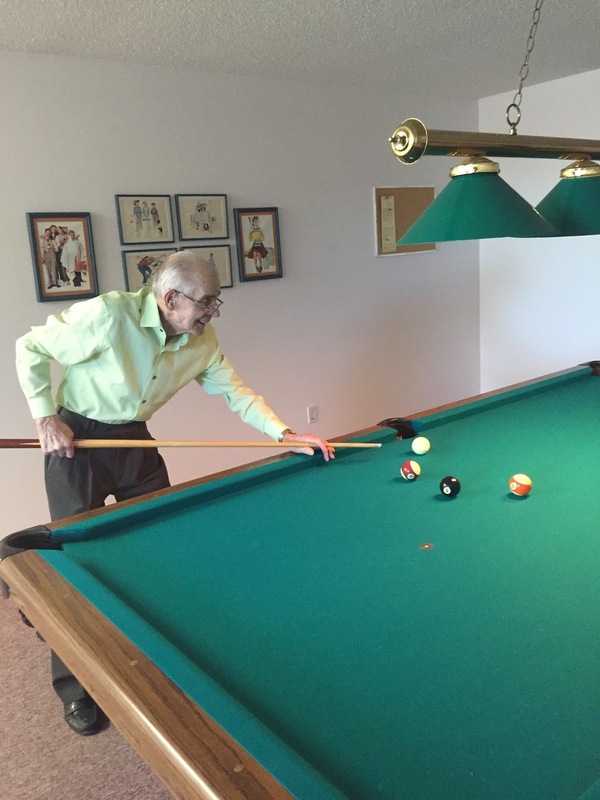 Michael and Opa played a round of pool, too. Opa's doing pretty good for an 85 year old!